This photo was taken in Guangzhou, China on Shamian Island in a park. The parks in China are well populated with young and older people and is a place where children play, parents sit and relax and passer-bys stop and eat their lunches. 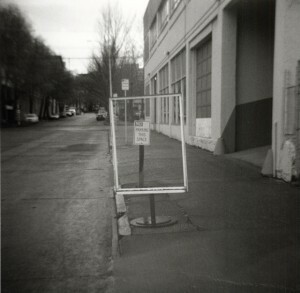 This photo was made with a Holga 120N, with Tri-X. 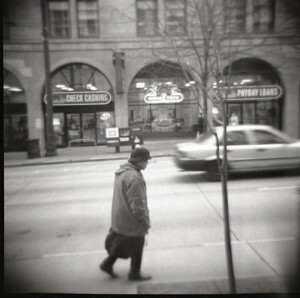 This photo was taken in the downtown area of Seattle. Camera: Diana+ Film: Tri-X 320 processed in Edwal's FG-7.